You’ll find microbeads in toothpaste, cosmetic creams and cleaning products, but also sadly in the guts of sea life and polluting the oceans. That’s why the UK government has just announced plans to ban microbeads used in cosmetics and cleaning products by 2017. Microbeads are very small pieces of plastic in products such as facial scrubs, toothpaste and makeup. Some are visible to the naked eye, but others are as tiny as one micrometre. Conservationists have warned that they can affect fish growth and persist in the guts of mussels and fish that mistake them for food. Over the years, microbeads have replaced traditional, biodegradable alternatives such as ground nut shells, and salt crystals. 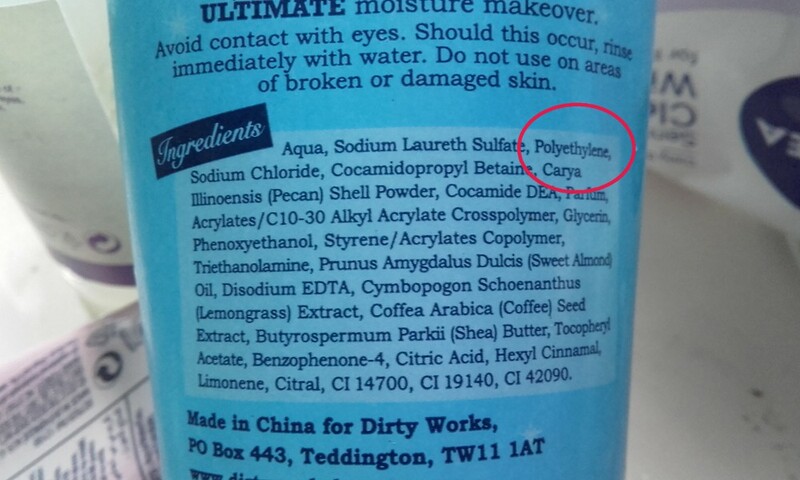 The microbeads used in personal care products are mainly made of polyethylene (PE), but can be also be made of polypropylene (PP), polyethylene terephthalate (PET), polymethyl methacrylate (PMMA) and nylon.Where products are washed down the drain after use, microbeads flow through sewer systems around the world before making their way into rivers and canals and ultimately, straight into the seas and oceans, where they contribute to plastic pollution. This material does not biodegrade so is ingested by sea life and just hangs around on the sea. The full extent and consequences is hard to quantify, but the accumulation of plastic, including microplastics, in the marine environment is today recognised as a serious, global environmental issue. In this case the precautionary principle does apply. There has been scientific research on the very specific effects on sea life such as feeding modifications and reproductive disruption of Oysters (http://bit.ly/2ad44LC) and accumulation in all kinds of fish and shellfish such as mussels, tuna, oysters, salmon and anchovies sold for human consumption (http://www.ncbi.nlm.nih.gov/pmc/articles/PMC4585829/). Fortunately public awareness and concern has overtaken the voluntary action by companies and Government inertia: more than 357,000 people signed a petition calling for a UK ban, and environment groups welcomed the news of the ban. Greenpeace said the new ban was welcome but should be extended to other products too. Microbeads will be banned banned in the US from Mid 2017 affecting cosmetic products with plastic microbeads, including toothpaste, soap and body washes. Supermarket beauty products such as those by Asda, Waitrose and Sainsbury’s have already had the plastic dropped, and major companies such as Unilever – which owns Dove and other brands – have also phased them out. But other big names such as Procter and Gamble, which owns Crest toothpaste, Gillette, Olay, and Tesco, will not have phased them out entirely until the end of 2017. Consumers looking to avoid microbeads in the meantime should avoid products with these substances in the ingredients polyethylene (PE), polypropylene (PP), polyethylene terephthalate (PET), polymethyl methacrylate (PMMA), polytetrafluoroethylene (PTFE) and nylon.